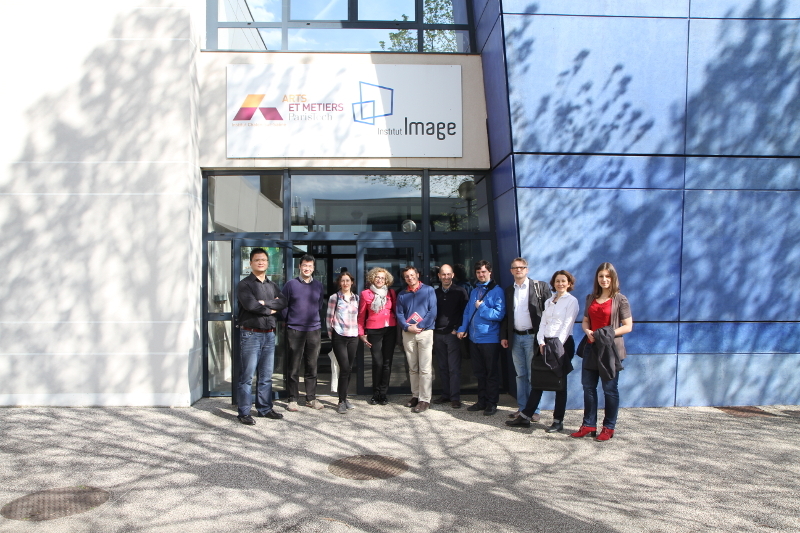 A visit of the Institute for Information Management in Engineering by two members of Institute Image was done during the 2nd ENSAM-KIT Workshop in Karlsruhe. These two teams conduct activities in virtual reality and augmented reality with applications for the Industry of the Future. Between both teams a strong complementarity has been mentioned in research on different novel tools in virtual reality to enhance industrial productivity.